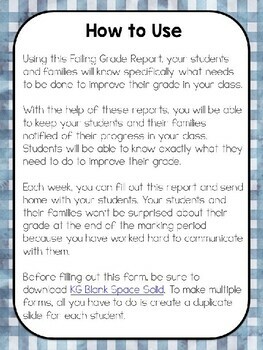 Using this Failing Grade Report, your students and families will know specifically what needs to be done to improve their grade in your class. With the help of these reports, you will be able to keep your students and their families notified of their progress in your class. 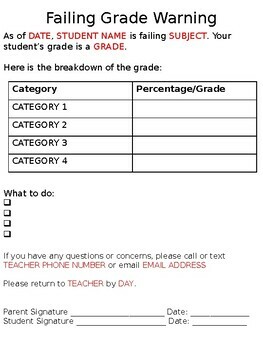 Students will be able to know exactly what they need to do to improve their grade. 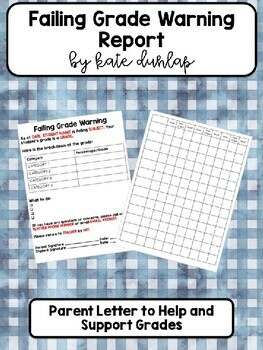 Each week, you can fill out this report and send home with your students. Your students and their families won’t be surprised about their grade at the end of the marking period because you have worked hard to communicate with them. 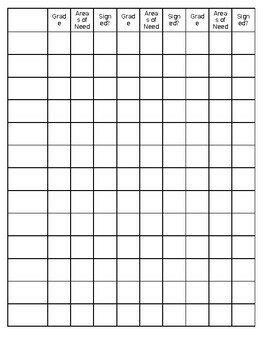 Before filling out this form, be sure to download KG Blank Space Solid. To make multiple forms, all you have to do is create a duplicate slide for each student.